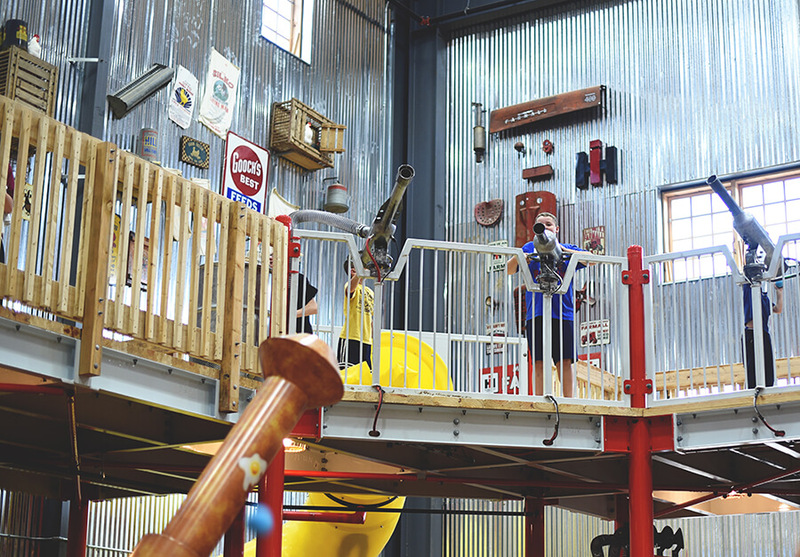 The ball drop at the Omaha Childrens Museum has long been a local fave for Nerf-style fun, but now there’s a new attraction in town that takes things to a whole new level. Three levels, to be exact. Eyman Heating, Plumbing & Air was thrilled to be asked to help with the construction of the three-level Egg Scramble, the newest attraction at Vala’s Pumpkin Patch. The three-level barn features a rustic vibe of raw wood and corrugated steel and is decorated in a style that would be the envy of even the most ambitious man-cave dreamer. The action is delivered through a series of strategically placed gun turrets that fire sponge balls in a frenzy of hit-me-if-you-can battle. It’s dodgeball taken to new (but less bruising) heights. Vala’s Pumpkin Patch is open daily through Oct. 31 9 a.m. to 9 p.m. Sundays through Thursdays and 9 a.m. to 10 p.m. Fridays and Saturdays.